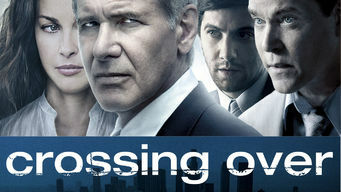 How to watch Crossing Over (2009) on Netflix Singapore! Sorry, Crossing Over is not available on Singaporean Netflix, but you can unlock it right now in Singapore and start watching! With a few simple steps you can change your Netflix region to a country like Argentina and start watching Argentine Netflix, which includes Crossing Over. We'll keep checking Netflix Singapore for Crossing Over, and this page will be updated with any changes. Crossing Over is not available in Singapore BUT it can be unlocked and viewed! Director Wayne Kramer's thoughtful drama weaves together several stories to create an emotionally charged examination of immigration in Los Angeles. Border crossings. Document fraud. Clashing cultures. Illegal immigrants try to make America their home. There is a way to watch Crossing Over in Singapore, even though it isn't currently available on Netflix locally. What you need is a system that lets you change your Netflix country. With a few simple steps you can be watching Crossing Over and thousands of other titles!